Keynote excerpt where Steve Jobs introduces new products and showcases his vision of the future “interpersonal computing”. Excerpt of Steve Jobs NeXT keynote presentation in Japan. Investments, especially in trading should not be taken as a fun activity; they need to be considered seriously especially when a huge sum is deposited into them. These investments should be considered from a long-term revenue point of view and it is this that would fuel a trader`s trading thoughts and interests. Trading is a good and advisable field for making long-term investments. There are of course good and bad times here which is something inevitable anywhere. Trading is beyond all these wherein a trader not only learns to invest money into some fruitful sources but also learns to swim through the tough times. Discover more here about this field before making any big decisions. 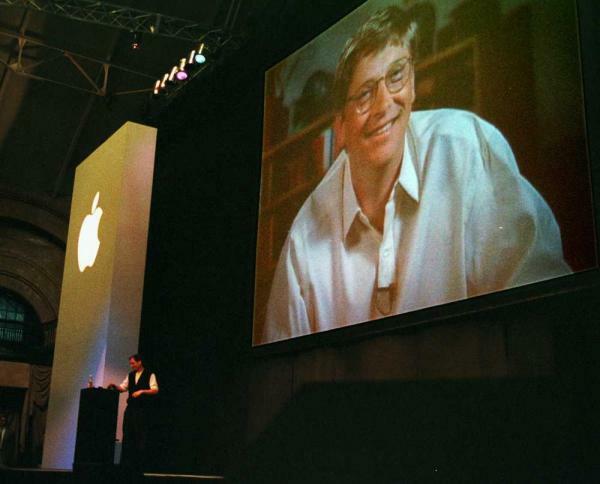 During the first NeXTWORLD Expo, Steve Jobs previewed NeXTSTEP 3.0 and some hardware. Steve Jobs speaks technology and Pixar at SIGGRAPH (Special Interest Group on GRAPHics and Interactive Techniques). Note: Clips of Toy Story have been removed due to copyright infringements. Steve was 40 years old. Following NeXT’s shift from a hardware to a software company, Steve Jobs presents NeXT’ strategy at Object World. NeXT is near the end of the line and you can feel it in Steve’s lackluster performance. Amazing keynote in Q&A form where Steve, still a consultant for Apple, shares his, strong, opinions. Investments have a lot of options and there are a lot of different windows in which a person can make his investments. One such very reliable and profitable option is trading. This is like any other option and after having a full review about a particular trading website, a trader can with trust enter this field. Steve Jobs introduces new PowerBooks before giving extensive demos of OS 9 and showing an early version of OS X.
Steve Jobs presides a hilarious mock funeral for OS 9 at WWDC ’02. Steve was 47 years old. Kickass keynote where Steve Jobs previewed OS X Panther and introduced the mighty Power Mac G5. Steve Jobs previewed new features in the upcoming OS X Tiger and wowed the audience with a new stunning 30-inch Cinema Display. 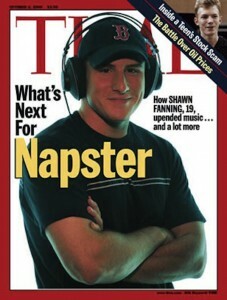 Landmark event where Steve Jobs announced the switch to Intel processors and made podcasting mainstream. 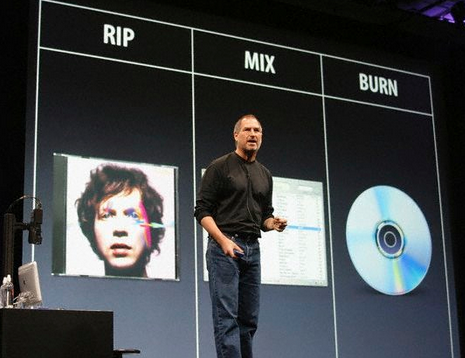 Historic keynote in which Steve Jobs introduced the iTunes Music Store, changing forever the way people get their music. When Steve Jobs announced the iTunes Music Store, the shift to digital music was already started. But no existing solutions were compelling enough for users to drop their music CDs in favor of mp3s. It was a complex world of Digital Right Management and small online music portfolios. It sucked. iPod 3rd generation were also introduced. Steve was 48 years old. Some of the reliable trading systems in the trading field have brought in a revolution in this field and they have made a big difference here by bringing a lot of unique and beneficial things for the traders and their trading efforts. Bitcoin loophole can also be used to have good trades in this field. Consumers don’t want to be treated like criminals and artists don’t want their valuable work stolen. The iTunes Music Store offers a groundbreaking solution for both. Initially, the iTunes Music Store featured only 200,000 songs from the big 5 music companies: BMG, EMI, Sony Music Entertainment, Universaland Warner. That’s a far cry from the 26 millions songs available today (2013). And it only worked on the Mac until a few years later when a Windows version was released. With millions of songs in its catalog, it quickly became the best place to find music and overtook WallMart as the #1 music store in the world. The ability to browse the entire music store by genre, artist and album combined with a free 30-second high-quality previews of every song was amazing. It let users explore music in an entirely new way, to easily find the hits they loved and discover gems they’ve never heard before. 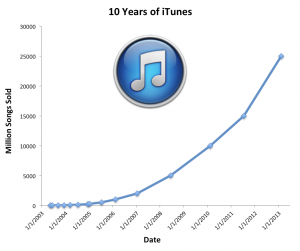 The iTunes Music Store helped Apple sell more iPods and brought the Apple brand in contact with even more people. One didn’t need to own an Apple product to purchase songs. 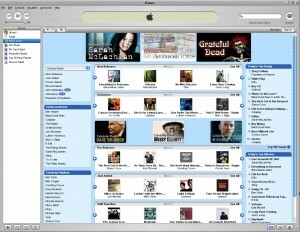 The lessons learned with the iTunes Music Store served Apple to start many other online activities and products. It’s responsible for the creation of the Apple TV. But more importantly, the creation of the App Store. Between the mid-1980s and late 1990s, the media were undergoing a massive conversion from analog to digital. The music industry hated it. Much to the chagrin of the Recording Industry Association of America, internet users quickly caught on to digital music as a free alternative to paying for albums. In fear of declining album sales, record labels filed lawsuit after lawsuit against online services Napster and MP3.com for hosting digital music. Clearly for the recording industry, change wasn’t easy. Rip. Mix. Burn baby Burn. By now,The iTunes Store has expanded to include movies, TV shows and the App Store providing third-party software for iPhone, iPod Touch and iPad customers. To date, the iTunes Store has served more than 25 billion songs! Refreshing presentation from Steve Jobs at WWDC 1997 where Steve shares his strong opinion on technology and where Apple should be headed. Remember, at this point in time, Steve Jobs was still an advisor to Apple which was bleeding money from all sides. 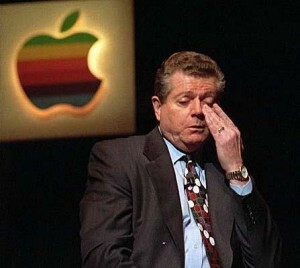 It’s also the first time Steve took the stage on his own for Apple – and he took every opportunity to share his personal opinion on the poor state of the company. It is for this reason that we have the trading blogs and recommendations that help traders with actual and reliable comments about a particular trading system. SnapCash Binary is a new system and you need to first get to know about this before getting in for this would clearly describe this system in clean and clear terms. His presentation, made in a Q&A format, was held at the end of the four-days WWDC conference on May 16. Although he didn’t unveil any products, he did introduce a new strategy for the company, best summed up by the five words “focus is about saying no”. This would become a recurrent theme for Apple in years to come. In his typical bravado, Steve spoke his mind and took questions from some angry developers – one instance which is now infamous – a personal attack from a disgruntled OpenDoc developer (check the video at 50 min). WWDC 1997 also marks the last public appearance of CEO Gil Amelio which was fired on July 4th (how symbolic), 6 weeks after WWDC. Macintosh clone from Power computing. Things in 1997 where a lot different than today. Here’s an excerpt of the Press Release invitation for the event. You’ll notice old technologies that felt under Steve Jobs’ hatchet and never saw the light of day. Hello Rhapsody. CUPERTINO, Calif.–April 21, 1997–Apple Computer, Inc. today announced that its upcoming annual Worldwide Developers Conference (WWDC) will showcase a wide range of Apple technologies for software and hardware developers–from an overview of Apple’s upcoming hardware to in-depth sessions on operating system and multimedia technologies. At WWDC 1997 Apple also plans to demonstrate an early version of Apple’s next generation operating system, code named Rhapsody, as well as previewing Mac OS 8, a major upgrade to Mac OS planned for release in July 1997. Apple remains on schedule to deliver a developer version of Rhapsody later this year, in preparation for the introduction of customer releases of the operating system in 1998. The WWDC runs May 13-16, 1997 at San Jose Convention Center, San Jose, Calif. The opening keynote on May 13 will be given by Apple Chairman and CEO, Dr. Gilbert F. Amelioand include contributions from senior Apple executives, including Avie Tevanian, senior vice president Software Engineering and Jon Rubinstein, senior vice president Hardware Engineering. Further keynotes will be given by Apple Fellow Guy Kawasaki and Guerrino De Luca, executive vice president of Marketing, Apple Computer Inc. Apple co-founder Steve Jobs will also be hosting a special “fireside chat” at the conference. Taking into account developer feedback from previous WWDC events, this year’s conference will focus on in-depth technical briefings dedicated to a more specialist technical audience. As such, Apple anticipates that this year’s conference will be attended primarily by third-party technical personnel. The four days of the conference will also be prefaced by a marketing forum on Monday May 12. Here Apple’s planned software, marketing, distribution, and co-marketing programs for WWDC 1997 will be discussed. This will be hosted by Guerrino De Luca. Apple’s current plans for Rhapsody remain on schedule. This means that, while the Rhapsody Developer Release, scheduled for mid year will not be available at the conference–the technical sessions and demonstrations will clearly demonstrate the significant strides that have been made in the operating system’s development. During the Conference, attendees will receive an in-depth look at the key technology components of Rhapsody. 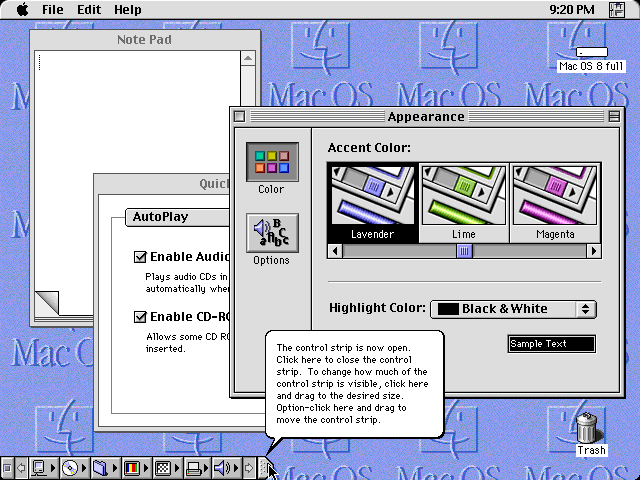 Major topic areas include core OS features, such as the Mach-based kernel; development API’s and an overview of the cross-platform and enhanced OPENSTEP development environment; user experience guidelines, imaging and printing systems, and localization features. Additional topic categories include Mac OS compatibility, Rhapsody’s distributed computing model, and unique Internet capabilities. There will also be a number of sessions detailing the tools available for Rhapsody development and transition strategies to assist in effective product planning. Seminars in other tracks cover a wide range of new opportunities that Rhapsody applications will have for Internet/intranet, multimedia, and database integration use. Apple will continue to enhance and improve the Mac OS in a complementary path with Rhapsody. The Mac OS conference track will include features and timing of future Mac OS releases, including Mac OS 8. Mac OS sessions will include: Core OS Changes, User Experience Technologies, Graphics, International Technologies, Optimization Tips, Networking, Tools, and Component Technologies. Mac OS 8 will be a significant upgrade for Mac OS customers and developers, extending Mac OS leadership in areas such as user experience, multimedia, and Internet. Among its new features, Mac OS 8 includes a multi-tasking, PowerPC-native Finder, with folders that automatically open and windows that pop-up from the bottom of the screen, helping customers organize their work and content. Market-leading Internet services will also be integrated for connecting, browsing, and sharing information around the world. This track will focus upon Internet platform technologies, focusing on the Mac OS, WebObjects, and Java. Mac OS topics include publishing opportunities and developing dynamic applications on the web. 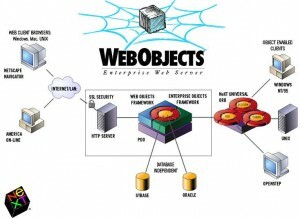 The WebObjects Platform represents a breakthrough Internet development environment and an overview of WebObjects technologies, tools, optimization techniques, and business opportunities will be presented. An underlying thread to Apple’s operating system strategy is the support of Java. Sessions on the Java Platform, Mac OS Runtime for Java, Java-based applications for Rhapsody, and Java for C++ Programmers will be a key part of the conference. Creative tools and software that enable rich media authoring and playback, both at the desktop and on the Internet, are a major reason for the Mac OS platform’s strength in creative and broadcast markets. This conference track presents an integrated technical strategy for developing cross platform digital media tools and applications. Apple recently announced QuickTime 3.0 a major advance in the industry-standard digital media system software for Mac OS and Windows. QuickTime 3.0 is the newest release of the Company’s widely adopted software architecture for creating and publishing digital media. QuickTime 3.0 is significant for developers because it marks the first time the full power of QuickTime –including the ability to capture, edit, compress, and playback digital media–is available for all major personal computer platforms, including Macintosh System 7.x , Mac OS 7.6, Windows 95, Windows NT 4.0 and the forthcoming Mac OS 8. Technical directions, priorities, and implementation approaches will be detailed for Apple’s foundation technologies within the QuickTime Media Layer (QTML) architecture. QuickTime, QuickTime VR, and QuickDraw 3D will be discussed in depth. The integration of QTML with the Mac OS, Rhapsody, and Windows platforms, as well as the Internet, will be the foundation for these sessions. At WWDC Apple will outline what is planned for Apple’s Desktop, Portable, and Server product offerings. Also covered will be PowerPC developments, I/O technologies, and a Common Hardware Reference Platform (CHRP) update. Breakout sessions will provide detailed technical information on multiprocessing, hardware I/O (Firewire, SCSI, Personal Computer Interconnect (PCI) , Universal Serial Bus (USB) and memory), and specifications for upcoming hardware product offerings. Today marks the 36th anniversary of the Apple II unveiling. There’s no known video footage of the event. Never mind, I managed to put together a random collection of videos, links and photos to commemorate the arrival on one of the most influential product in Apple’s history – heck, the computer industry! There are many different trading strategies and ideas and each trader follows the one comfortable and suitable for him keeping the base the same. Here is another simple strategy which many of us are unaware of and it is one very simple and usual method that we would have followed in life on many occasions. This is nothing but a constant and a regular investment plan. Yes, a trader should decide to make the same amount of investment every month. This is something that needs him to understand the market and show no emotions when there are booms and opportunities presented in the market. Now whatever the situation is, if the trader decides to make such investments, it would neither profit him gloriously nor put him down badly with huge losses but would keep him balanced. Visit the following site to know more on this. To me, a personal computer should be small, reliable, convenient to use and inexpensive. Great video looking back at the history of Apple, the Apple I and the Apple II. The style of the video is reminiscent of Apple in the mid 80s. It looks like an internal video made for the Sales Channel in 1985. Hands on with the little bugger. Lots of technical stuff in there for the hardware lovers. This ad was not made by Apple but from High Technology – a reseller. Apple’s very first TV ad. Guess for which product? Sales video about the Apple II’s Business Graphic software. Jobs and his creation -I’m talking about the Stache! I never came across an Apple II. I wish I did. The proudest moment for any trader is when he makes a profit here without losing much. Losses are always a probable happening here but not that they are the only things here. And it is about how a trader minimises his losses and not about how much profits he has made. Visit the website of each system to know more. Now it was time to prove he was right and show the world the Next Big Thing. It was Steve and his team culminating efforts of years of hard work. The following story is curtesy of Andy Hertzfeld and his excellent Apple History website: folklore.org – a must read for any Apple fan. January 24, 1984 – the big day had finally arrived. We had looked forward to the date for so long that it didn’t seem real to be actually experiencing the long-awaited public unveiling of the Macintosh at Apple’s 1984 annual shareholder’s meeting. We were excited, of course, but also nervous about our hastily contrived demo software, and still exhausted from the final push to finish the system software (read Real Artists Ship). I attended one of the rehearsals held over the weekend, to help set up the demo, and it was fraught with problems. Apple rented a powerful video projector called a LightValve, that projected the Macintosh display larger and brighter than I thought possible. But the Mac had to be connected to the projector through a special board that Burrell cooked up to compensate for the Mac’s unique video timings, and the LightValve seemed to be quite tempermental, taking eons to warm up and then sometimes shutting down inexplicably. Plus, Steve wasn’t into rehearsing very much, and could barely force himself into doing a single, complete run-through. Most of the software team usually didn’t come to work until after 10am, but this morning we gathered in our fishbowl office in Bandley 3 at 7:30am, so we could walk over together to the big auditorium at Flint Center, which was a half mile away. We got to the cavernous room (which seated up to 2,500) early, but it was already filling up, and soon it was packed tight, with standing room only. The software team sat up close in the second row, in a section reserved for Macintosh division employees. Steve Jobs before the turtleneck era. 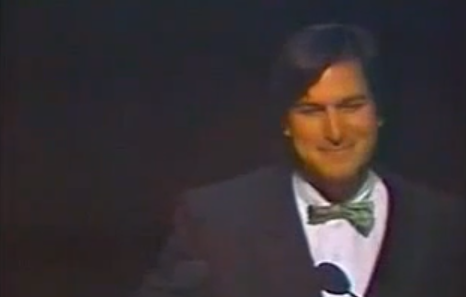 Finally, the lights dimmed, and Steve Jobs appeared at a podium on the left side of the stage. He was resplendent in a finely tailored black suit complete with a prominent bow tie, looking more like a Las Vegas impresario than a computer industry executive. You could tell that he was nervous as he quieted the rousing applause and began to speak. He thanked Apple’s board of directors individually by name for their support in a turbulent year, and then turned the meeting over to Apple’s chief counsel, Al Eisenstadt, to run the formal part of the shareholders’ meeting. Al ran through some procedural stuff, and then he introduced Apple’s CEO, John Sculley, who was just hired nine months ago, for a report on the business. John reported on Apple’s latest quarter, which saw disappointing Lisa sales more than balanced by a fantastic Christmas for the Apple IIe, whose sales had more than doubled from the previous year. But the crowd seemed distracted, impatiently waiting for the main event that was now imminent. John seemed to sense that, and hurried through the bulk of his presentation. Finally he concluded by thanking Mike Markkula and the executive staff for supporting him during his first few months at Apple, thanking one individual in particular. 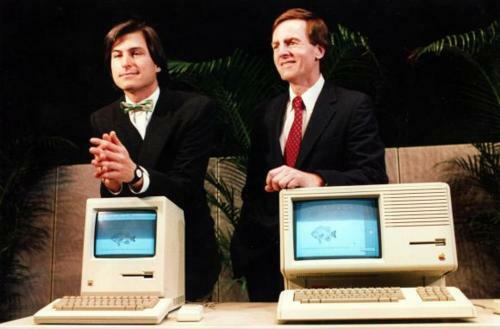 Steve Jobs and John Sculley before the turbulent times. Steve reappeared on the left side of the stage as the lights dimmed again. “It is 1958″, he began, speaking slowly and dramatically. “IBM passes up a chance to buy a young fledgling company that has invented a new technology called xerography. Two years later, Xerox was born, and IBM has been kicking themselves ever since”. The crowd laughs, as Steve pauses. 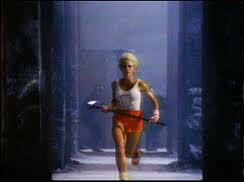 Steve had cooked up this spiel for the sales meeting in Hawaii last fall, to introduce the 1984 commercial. I had seen him do it a few times by now, but never with as much passion, intensity and emotion, dripping from his voice. 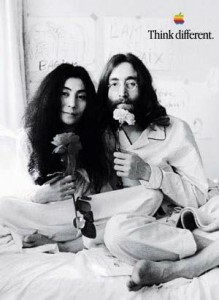 “It is ten years later, the late sixties”, he continued, speaking faster now. “Digital Equipment Corporation and others invent the mini-computer. IBM dismisses the mini-computer as too small to do serious computing, and therefore unimportant to their business. DEC grows to be a multi-hundred million dollar company before IBM enters the mini-computer market.” Steve pauses again. “The early 1980s. 1981 – Apple II has become the world’s most popular computer, and Apple has grown to a 300 million dollar corporation, becoming the fastest growing company in American business history. 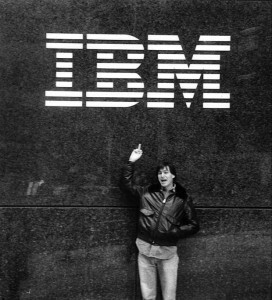 With over fifty companies vying for a share, IBM enters the personal computer market in November of 1981, with the IBM PC.” Steve is speaking very quickly now, picking up momentum. The crowd is in a frenzy now, as the already famous 1984 commercial (read the incredible story of “1984″ and how it almost never aired), which was shown for the first and only time during the Superbowl two days ago, fills the screen, featuring a beautiful young woman athlete storming into a meeting of futuristic skinheads, throwing a sledge-hammer at Big Brother, imploding the screen in a burst of apocalyptic light. By the time the commercial is finished, everyone in the auditorium is standing and cheering. All this time, a lone Macintosh has been sitting in its canvas carrying case near the center of the stage. Steve walks over to the bag and opens it up, unveiling the Mac to the world for the very first time. Pandemonium reigns as the demo completes. Steve has the biggest smile I’ve ever seen on his face, obviously holding back tears as he is overwhelmed by the moment. The ovation continues for at least five minutes before he quiets the crowd down. A father’s pride. Steve Jobs hardly contains his emotion as the crowd acclaims the original Macintosh. The rest of the meeting was an anti-climactic blur, as Steve runs through some marketing material and introduces new versions of the Lisa. He shows a slide-show tribute to the Mac team, with voice-overs from the most important contributors. Finally, he turns the meeting back to Al Eisenstadt, to announce the shareholder tallies and complete the formal portion of the shareholders’ meeting. Steve Jobs on MacWorld Magazine (1984). 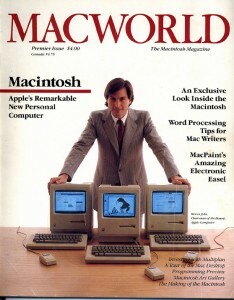 Every member of the audience was given a copy of the first issue of MacWorld magazine, with Steve on the cover, as they departed. Most of the Mac team hung around near the stage, congratulating each other, waiting for the crowd to disperse. A little bit later, after we returned to Bandley 3, we were surprised by a large Apple truck that pulled up in the parking lot near the back of the building. 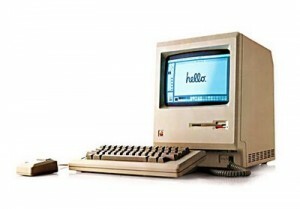 It contained 100 brand new Macintoshes, one for each member of the team, personalized with a little plaque on the back. Steve presented one at a time to each team member with a handshake and a smile as the rest of us stood around cheering. We were so keyed up that it was impossible to get back to work that afternoon, but most of us didn’t want to go back home, either. The Macs were supposed to go on sale that very day, immediately following the introduction. I thought that it would make it more real to me if I actually could go out and buy one, so five or six of us walked to the nearest Apple dealer, to see if that was possible. The first, closest dealer didn’t have any units in stock, and said that they weren’t for sale yet, but we didn’t give up, and the next dealer was willing to sell me one, even though he didn’t have any units in yet either. Band of Pirates. 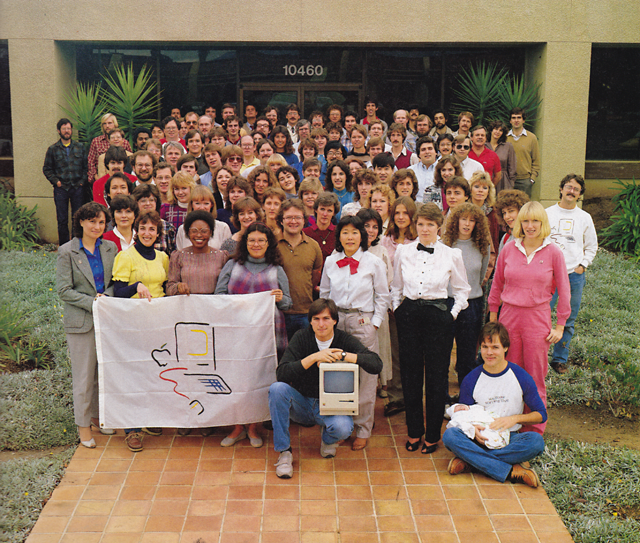 The proud Macintosh Team in 1984. The story you read is courtesy of Andy Hertzfeld and his excellent Apple History website: folklore.org (A must read for any Apple fan). Steve Jobs, Bill Gates and Microsoft. It’s complicated. Looking back at Steve Jobs’ tenure at Apple, it’s impossible to separate the role Microsoft and Bill Gates played. The companies helped pioneer the industry and define an era. The two CEOs partnered at various times, competed all the time, and challenged one another in ways that helped shape the landscape of technology. It is the reliable and genuine trading platforms that have helped in brightening the trading field. It is the presence of such software that are making this field a very fruitful one. These in fact make this field a very popular one and take them closer to the traders. Continue reading to know more about this. It’s a complex relationship – which you can witness in this amusing video compilation of Steve Jobs best quotes about Microsoft. Lets look a little deeper into the history of these two great men. 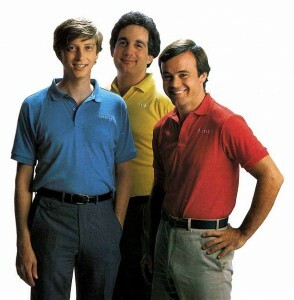 During the development of the Macintosh in the early 80s, Microsoft was an important ally. Apple needed groundbreaking softwares for it’s upcoming platform and Microsoft was one of the few companies developing for it. It was a crucial phase for Apple. The strength of their relationship could be witnessed at an Internal Apple Event in Hawai where Steve Jobs introduced the Macintosh to a few Apple VIPs. 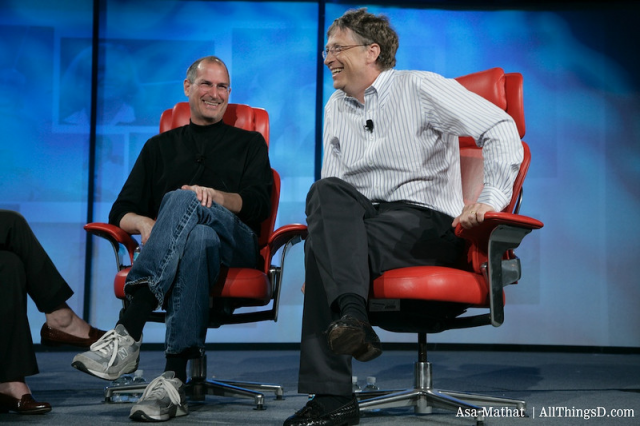 Bill Gates sugarcoated the Mac and Steve Jobs loved every moment of it. 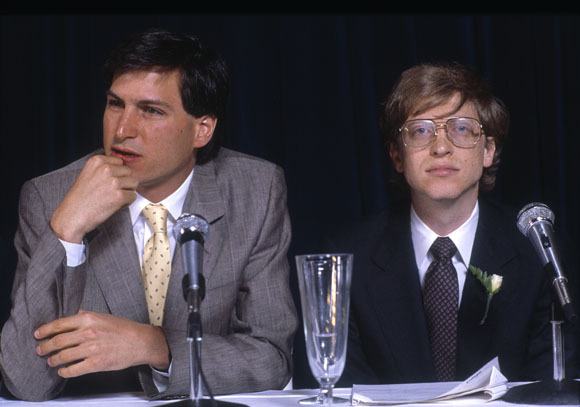 Steve Jobs and Bill Gates were so close at the time that according to a Guardian article, they even double-dated occasionally. Steve Jobs had this dream where Apple would dominate the computer business and Microsoft would own the application-side of that business. The OS would naturally also by controlled by Apple. But Bill Gates wasn’t blind. He understood that the Graphical User Interface was the future of computing. He also knew that it would quickly make its DOS operating system irrelevant and threatens Microsoft to become (just) a software company dependent of Apple. Bill Gates had bigger plans. For years, Microsoft had engineers secretly copying the Macintosh OS and working on its own version of a Graphical OS: Windows. Not long after the Internal Event in Hawaii, Steve Jobs learned the crushing news. 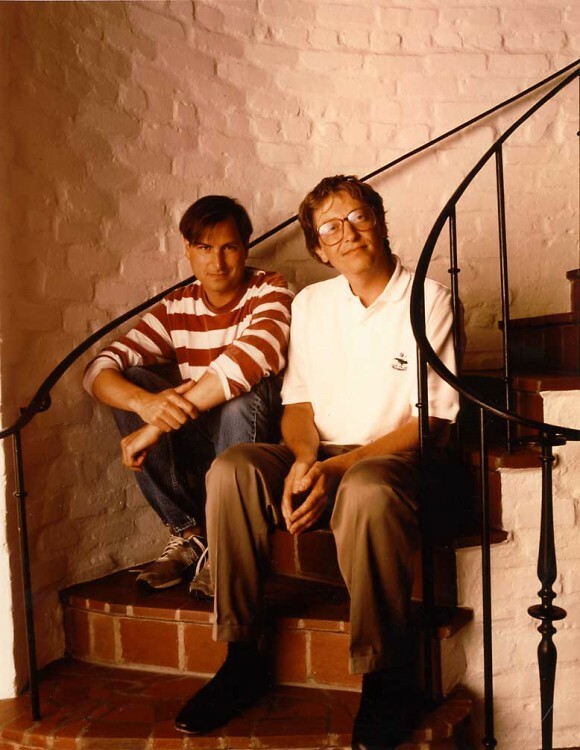 Microsoft wanted to compete with Apple; Bill Gates deceived him. For the next 15 years, Apple would engage in a strange relationship with Microsoft. On one end, Microsoft was prying marketshare away from Apple, on the other, it was one of its biggest partner. Steve Jobs would soon leave Apple and create NeXT but would not succeed to make a dent in Microsoft’s dominance. Along the way, Jobs often sparred with Microsoft, criticizing the company’s lack of creativity. In a New York Times article that ran after the documentary aired, Jobs disclosed that he called Gates afterward to apologize. But only to a degree. Things changed when Steve Jobs came back at Apple in 1997. On the brink of bankruptcy, Jobs turned to his ‘old acquaintance’ Bill Gates for help. The Microsoft Deal is considered a low point in Apple’s history by many. When Steve Jobs announced that Microsoft was not the enemy anymore, few could believe their ears. He went as far as praising the quality of their Mac apps like Office and Internet Explorer… that was outrageous! Things were weird for a few years – 5 years to be exact. Which corresponds to the 5 years of the ‘Microsoft Deal’. During that period Steve Jobs only had good things to say about Redmond. But it was an illusion. If Bill Gates was a great liar, Steve Jobs was his equal. The Get a Mac campaign ran from 2003 to 2008. Guess who PC is based on? 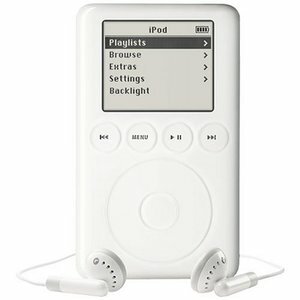 It’s now 2003 and iPods are selling like hotcakes. The Apple brand is cool again. Apple understood it could not compete with Microsoft on the desktop so it brought the battle to another field: mobile. Here, Microsoft is a minor player. Apple doesn’t need Microsoft like it did at the turn of the millenium. So Steve doesn’t have to play nice anymore. Apple’s tone of voice about Redmond suddenly changes. The Get a Mac campaign hits the airwaves and pokes fun of the PC industry and Microsoft (watch this All Things D interview with Steve Jobs and Bill Gates were Bill is compared to the PC guy!). The praising days are over. Was Steve Jobs still bitter at Bill Gates and Microsoft after all these years? Steve’s sudden change of attitude towards Microsoft in the mid-00s seems to indicate that. There’s however an event that is even more striking. During All Things D5 in 2007, Steve Jobs and Bill Gates were ‘finally’ reunited on a stage. Steve was given the opportunity to praise Bill Gates when asked what Bill’s contribution to the PC industry was. Steve’s answer was rather generic: “Bill was the first to truly see the value of software.” That’s all… You can watch Steve’s answers here. But if Steve was still bitter about Bill, why would he keep a letter of Bill next to his bed during his last moments? 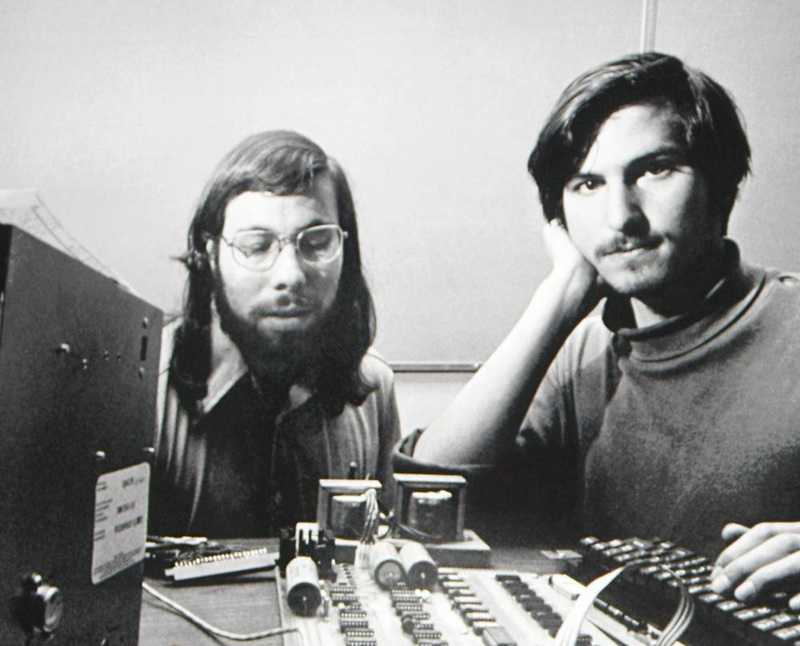 The two Steve’s working on the Apple I in 1976. The Bitcoin is not under any government regulation and thus it is not enforced anyway by the government. This is the reason why the government is unable to regulate it. There are some countries though that has released some regulation laws on transacting in cryptocurrencies. The Japan government has accepted Bitcoin and thus it is used in many stores. This also led to the rise in the price of Bitcoin. The regulations and the rise in price of this cryptocurrency have forced many countries to follow the same. You would observe that the price of Bitcoin would move a lot when there is any news regarding its regulation. This could happen even if the news may not be directly impacting cryptocurrencies. In Cyprus when the funds got seized then there was a huge rumour about using cryptocurrencies instead. If on the other hand the government states that there will be a ban on the use of cryptocurrencies then the price of it changes drastically. Most governments are not in favour of the cryptocurrency because it is totally anonymous. There have been discussions about having a third party to supervise it. This could impact the price of the cryptocurrencies like Bitcoin significantly. Media also plays a very key role in influencing the price of cryptocurrency. Bitcoin is very volatile and if there is even a slight change in its price then this could affect the price majorly. The price is also very easy to be manipulated thanks to the media. The traders react immediately to any positive or negative news published by the media. Also remember that the market capitalisation of cryptocurrency is not very huge and thus it is just the game of some players. There could be some news about hacking the exchange or that the currency was used to trade drugs. All these will impact the price negatively. It is not surprising to know that it is the Bitcoin developers and its users who decide on how the price of the cryptocurrency will move. They are very influential to cause the major price fluctuations. Also it is based on trust and since traders have lots of trust in this currency it has survived for so long. One should know the sentiments that affect the Bitcoin prices. The discussion forums top10cryptorobots.com and chats would let you know what traders are thinking. This could give you a hint on how the market will move in the future. Over the past 30 years, many great things came out of Cupertino and most of them were introduced with fanfare by Steve Jobs. But which announcements were the most important? Which ones shook the world? This is the same with the trading field too and the various trading systems were introduced into the trading market with great pomp and show but not all of them were able to make it until the end. But there are a few who have actually succeeded in doing this and to know them better Read more at this website. I did my research and created a video showing Apple’s Top 10 keynote announcements in all their glory. I couldn’t decide which one was more important, so I’ve listed them in chronological order. Can you guess which they are? …continue reading as I elaborate on each choices and list a few runners-up who didn’t crack the top 10. The launch of the Macintosh is well known and documented. It’s no surprise to see it on this list. 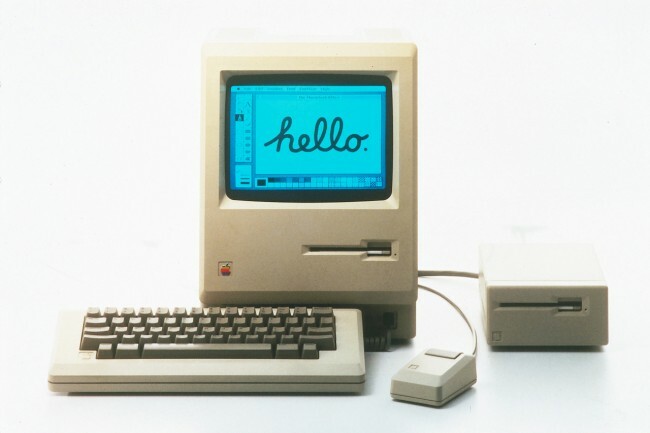 It’s worth mentioning that aside from revolutionising personal computing, thank you Xerox PARC, the Macintosh established Apple as a different kind of company. One that valued human interaction more than specifications. One that pushed the limits of innovation to create products easy and pleasant to use. The cute transparant computer took the industry by surprise. It’s the first product of the “new” Apple Era envisioned by Steve Jobs. It was a smashing success. Sales went through the roof and for some time, iMac was the #1 computer sold in the USA. At the time, the relationship between Apple and the developer community was at its lowest. Many had left the Macintosh platform because of dwindling sales and an uncertain future. Others were bemused at the demise of Rhapsody, Apple’s touted future OS. Steve Jobs killed it not long after taking over from Gil Amelio. The Mac OS was old, buggy and lived in the shadow casted by Windows 95. The future of the Mac was bleak even when iMacs were selling like hot cakes. All this changed on May 11th 1998. Steve Jobs unveiled the foundation of Mac OS X and demonstrated why Apple had acquire NeXT and its Unix based operating system. The transition to OS X was bold and looked painful for developers. Many needed to recode part, if not all, of their applications to make use of the new powerful OS. But Apple was totally committed to OS X and Steve Jobs made it clear that it was the only way to go forward. Mac OS X brought a strong foundation to the Mac and is still being used 15 years later in every Macs. It’s also at the hearth of iOS, the operating system of the iPhone and the iPad. 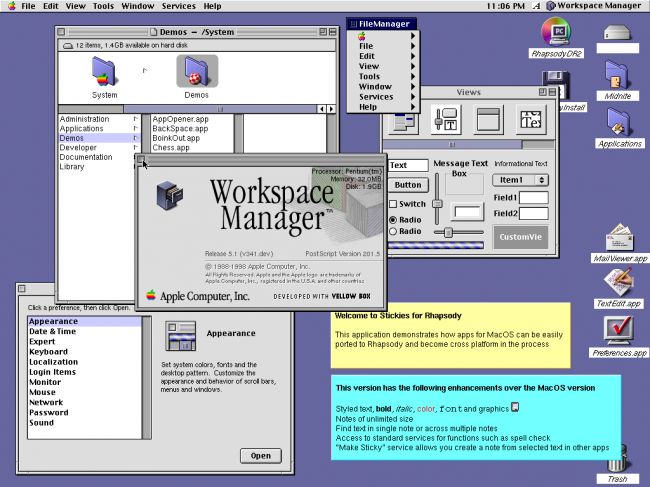 As it turned out, OS X was instrumental in creating the Post-PC era. How ironic. 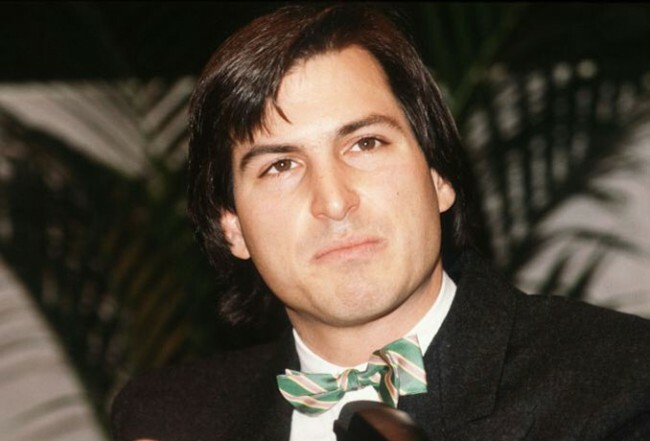 During the early years of his second stint at Apple, Steve Jobs shared duties at two companies. He was CEO at Pixar and interim CEO (iCEO) at Apple. When asked if he’d drop the interim title, Steve never gave a straight answer. Pixar was highly successful and Steve loved his job. Most believed he would eventually become Apple’s new CEO. But there was always a possibility that Steve decided to leave Apple once he judged Apple strong enough to continue without him. Then during a Macworld New York keynote, Steve Jobs had One More Thing to say. He surprised the audience by announcing he would drop the iCEO title. The place went completely ballistic!!! Apple finally had their leader. They would be unstoppable for the following 10 years. 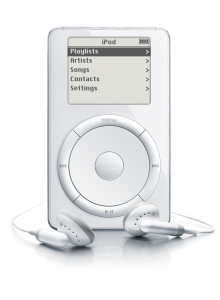 The launch of the tiny music player changed the world of consumer electronics and reshaped Apple. It can by argued that it’s the most important product Apple ever introduced! That’s amazing because when iPod was announced, the tech industry wasn’t impressed. Rumors were that Apple would release a revolutionary PDA. Instead they ‘just’ unveiled a music player… Most were disappointed, me included. Boy were we wrong and was Steve right! 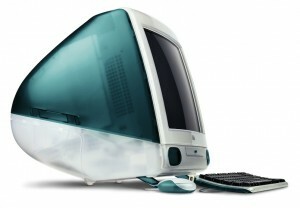 Before the iPod, Apple was a niche computer maker with 3% market share and cool looking iMacs and iBooks. Apple became dominant: With ±70% market share in the digital music player market, Apple wasn’t the joke of the industry anymore. They had a successful product. The tech industry, the media and consumers would start to respect them again. Halo effect: Many iPod owners didn’t own a Mac but bought one down the way. It helped increase Apple’s computer market share. All that because of the iPod! So yes, this tiny music plater really achieved BIG THINGS! The shift to digital music was already started, but no existing solutions was compelling enough for users to drop their music CD in favor of mp3s. It was a complex world of Digital Right Management and small online music portfolios. It sucked. 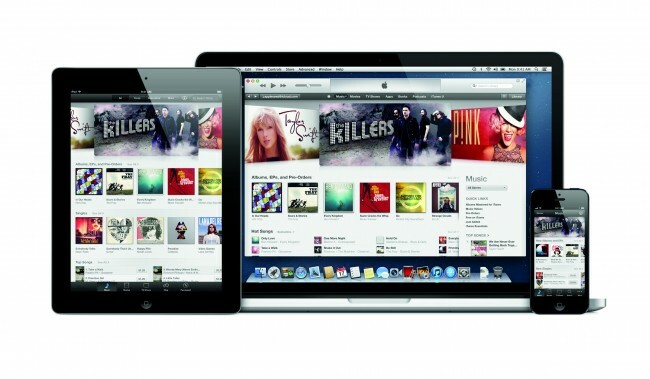 With the launch of the iTunes Music Store, Apple single handedly changed the business landscape of the music industry. It brought tons of music (200,000 songs) of the biggest artists under a single and easy to use platform for just ¢99. At launch it only worked on the Mac but a few years later a Windows version was released. With millions of songs in its catalog, it quickly became the best place to find music and overtook WallMart as the #1 music store in the world. It’s funny that people would care about the type of chip used in a computer. I bet most people don’t know what runs inside their iPhones or Samsung Galaxy. But back in 2005, everyone knew Apple didn’t run the ‘standard’ Intel chip and that wasn’t a good thing. In the late ’90s, Apple made a point to show that their PowerPC chip was faster than Intel (Watch the Snail ad, Burn ad, and Steamroller ad). 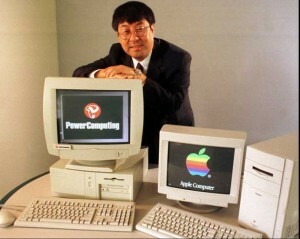 In the mid 00’s, the PowerPC lost a bit of its edge, especially in mobile computing. Steve Jobs made a fool of himself when promising a PowerBook G5 that never came. 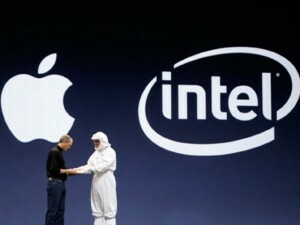 That all changed when Steve Jobs surprised many by announcing the Mac would adopt the Intel chip. It installed made Apple’s product roadmap more appealing since Apple would get chips as fast as their competitors. Developers were happier because it made porting their Windows app to the Mac easier. Just before Steve Jobs unveiled the iPhone he said “Today Apple is reinventing the iPhone“. He was halfway right. iPhone did more than redefining what the future of phone would be. It created a truly personal computer. One that someone could carry on him/her at all time. The iPhone became the most successful electronic product of all time (gross revenue & profits). It made Apple the most valuable company in the world – within a few years, the iPhone business was generating more profit than the whole Microsoft. The influence of the iPhone is however more profound. It kicked started the mobile computing era which was rather stagnant for a few years. Websites started to offer better web browsing experience to their mobile visitors. The iPhone also led Apple to create the iPad which ignited the Post PC era (more down the list). 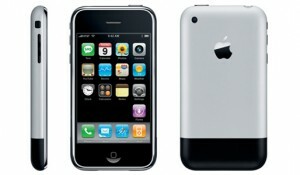 The iPhone is in my opinion, Apple’s most impactful product ever made. If you remember back in 2008, most software innovation came from the web. Groundbreaking services like YouTube, facebook and Twitter were all online based. Little was happening on the desktop and most programmers were shifting their efforts to the web. A year after releasing the iPhone, realising their mistake, Apple announced the iOS SDK. It allowed developers to create iPhone Apps. The tech world welcomed the news with open arms. But during the same keynote, Apple introduced something more important that didn’t get as much coverage: the App Store. 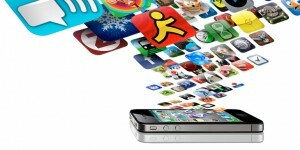 Now, iPhone users had an easy place to find and buy all kind of apps. Developers had a easy way to bring their apps to millions of customers. This was a game changer. Thousands of free and paid apps were created for the iPhone – making it the most vibrant computing platform. These apps added tremendous value to the iPhone because it could be used to do many amazing things. The App Store helped Apple sell millions more iPhone. It also differentiated iPhone from it’s competitors that didn’t have as many apps. Overall, the App Store generated billions of profits for Apple and its developers. It also paved the way to the release of Apple’s next blockbuster product, the iPad. With thousands of compatible apps already available at launch, the iPad had a major advantage. 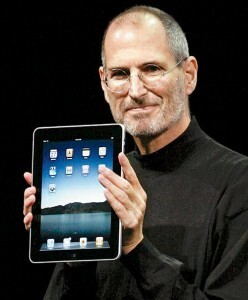 Steve Jobs apparently said to some of his close friends that the iPad was the most important thing he’s ever done. It’s in fact the culminating effort of more than 30 years of his career. He most certainly envisioned it a long time ago, although back then, he didn’t know what shape it would take. If we look closely at the iPad, we can see fingerprints of Apple’s 10 most important keynote announcements all over it. It’s not a coincidence. The iPad is Steve Jobs’ legacy. It’s his gift to all of us. Because the Apple Store was announced at a private Press Event and not a keynote, it couldn’t make it to this list. 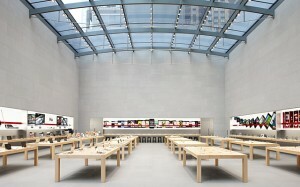 However, there’s no denying the importance of the Apple Store in Apple’s history. The stores are responsible for putting iMacs, MacBooks, iPods, iPhones, iPads and more iThings in the hands of millions of people – small, big, old, young, Apple fans and Microsoft fans. Apple’s products look great on a screen, but they feel even better once you hold them. And that’s the magic of the Apple Store. This one was difficult not to include in this Top 10. It’s one of my favourite Apple creation on all time. It’s Apple’s soul. It’s his identity, what it stands for. The Think Different Campaign brought back pride in the heart of Apple employees and fans at a time they needed the most. It was a rallying cry, a reminder of why we loved the brand (after all, why should we care about a computers?). Think Different made it clear. Steve Jobs joined Apple in 1997, but it’s the Think Campaign that marked the beginning of a new era at Apple. One that saw the company rise to unprecedented heights and make a dent in the Universe. The only reason it didn’t make the top 10 is that its reach was too narrow to compete with the other keynote announcements. It only targeted Apple employees and it’s fans. That’s it. Apple’s 10 most important keynote announcements as far as I’m concerned. Agree? 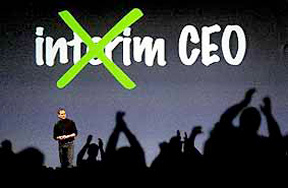 An all-software keynote geared towards the Future where Steve Jobs revealed OS X, iTools and a new CEO. It is not just important to know where you are placed in the trading field but it is also important to know with whom you are operating on the field. Yes, here we are talking about the brokers who form a very important part and play an essential role in a trader`s success. Now, who gets eligible to become one such agent? The one who has had enough experience in this field, who has got involved in trading opportunities and has amply participated in helping traders in achieving profits. The one who has been certified to operate as registered agents to help traders have a good trading experience. The ones who have a good knowledge about the various trading strategies and plans that can help a trader in enjoying success and profits. The one who holds a legal license to operate as agents in helping the traders on the trading field. These are some of the important and essential qualities in a broker and fulfilling all these would make him a good broker. There are also brokers who do not follow all these and they do not fall under any of these standards. They generally follow rules and regulations of their own and are mostly attached to systems that are fraudulent in the field aiming to cheat the traders of their hard earned deposit money. Qprofit System review is one that has got some real good registered brokers and they have been certified as having some good broking agents in helping traders with the right and the apt suggestions and trading ideas. They take to support the traders from the first step till the last and promise to travel with them in all types of situations and market conditions. So being with them is definitely a good and a fruitful option for the traders.